I’ve been asked a few times lately about one of our most globally known athletes, Alex Morgan. I have NO problem talking about Alex, so keep the questions coming…but all everyone seems to be asking is “what does her tattoo mean”? So, I felt it my editorial duty to explain. For two decades, Kristine Lilly was synonymous with the No. 13 in the U.S. national team. Citing Lilly as a personal hero, Morgan inherited the number upon Lilly’s 2010 retirement and Morgan’s 2010 national team debut. It’s also a number that Morgan holds near and dear, having worn it since she began playing competitive soccer at the age of 14. 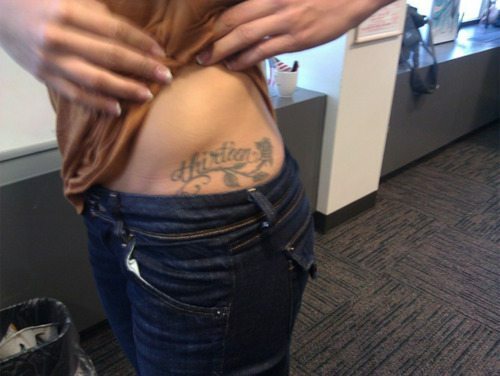 The tattoo is on her left hip as a a good luck omen since Alex is left-footed. Let us know if there are any other questions you have about any of our Team USA athletes!! Very cool story, and nice to see her tattoo has some real meaning to her!